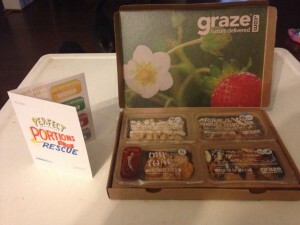 A couple months ago I wrote a review about the Graze Box. Since then I have received five boxes. I can honestly say these are definitely worth it. Of these five boxes, I only marked one thing as “trash” (the Fruit and Seed Flapjacks), but really only because I don’t care for Raisins. 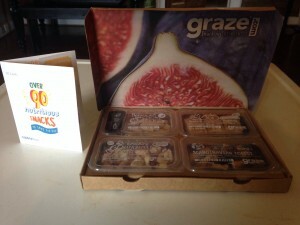 The things I’ve “loved” were Banoffee Pie, Mississippi BBQ Pistachios, Pear Tatin, and Natural Vanilla Seeds. 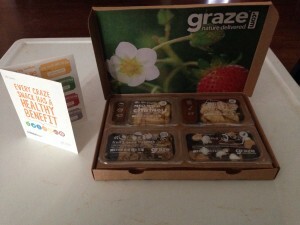 The latest box I received (box #6) had three of the four items from the first box I received. I haven’t even opened up that box yet but I am looking forward to it. 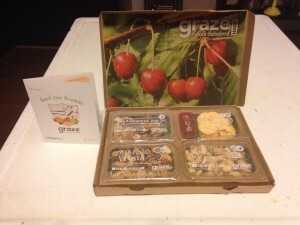 All in all, I really do recommend the Graze Box. I haven’t tried any of the competitors though. These aren’t exactly “carb-counter friendly”, but we make it work :). I said earlier that I don’t particularly like raisins (who does? ), but they have many recipes with different flavor infused raisins that have been really tasty. 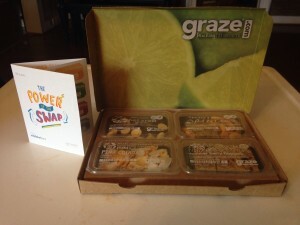 Anyway, if you want to try it out my invitation code is LEWA6LHDB and if you use it you’ll get your first and fifth box free from Graze. Give it a try, at least the first box — you can cancel any time. You have my curiosity…..Never heard of anything of the sort…sees kinda like a diet plan I created for myself a few years ago.